I was excited when I first saw the Wilton Peeps Silicone Mold because it looked like such an easy way to make your own look-a-like Peeps for Easter. Making homemade Peeps is fun, but it can be a bit challenging to get the shapes just right when you first start out, so a silicone pan that would do all the work for you seemed like a fantastic idea to a marshmallow-lover like me. 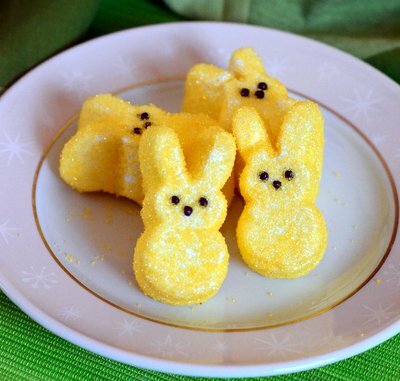 The silicone pan has a dozen cavities for making both chick and bunny Peeps – or other Peep-shaped goodies. The silicone is very flexible, which makes it a good choice of material for shapes this much detail on them. I whipped up a batch of my homemade marshmallows and piped them into the forms. The first batch told me that, while silicone is nonstick for baked goods, it is not nonstick enough to handle these very-detailed marshmallow shapes. They stuck like crazy and were difficult to pry out of the pan without compromising their cuteness. I greased subsequent batches generously with cooking spray (you could also brush on a thin coating of vegetable oil with a pastry brush) and the rest of the marshmallows popped out perfectly. They had all the details of the pan – even down to the eyes – and looked absolutely fantastic. You won’t be able to taste the vegetable oil coating on the finished marshmallows, especially once they’ve been coated with sugar, though I do recommend using a neutral oil (not olive oil). 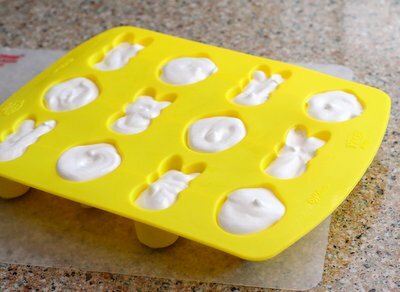 You also might need two molds to use up all of your marshmallow, as my recipe makes too much just for one pan. You can always make a batch in the pan and hand-pipe the rest of your Peeps to use it up, since marshmallow needs to be piped while it is warm to take on a new shape. 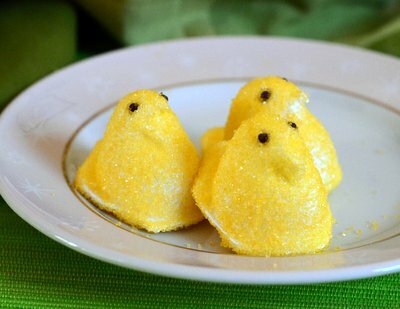 I rolled my Peeps in fine, colorful sanding sugar and used some round chocolate sprinkles for the eyes to finish the Peeps off. They’re a little bit bigger than store-bought Peeps, but not by much, and very few people will complain about getting too much marshmallow. The shapes are perfectly consistent, which makes the pan a much more reliable way to produce homemade Peeps than my hand-piping method, since it takes a little practice to get the shapes just right. 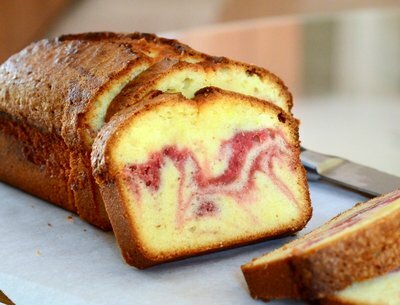 That makes this pan, by far, the easiest way to make homemade Peeps that look like the real thing.